CALGARY, ALBERTA, Jan. 19, 2018 – How concerned should I really be about the fluoride in my drinking water? Why is water quality such an issue in many Indigenous communities? Do I need to worry about lead in my pipes? What is the level of harmful chemicals in my local river and is it safe to swim and fish? These, among others, are questions the public grapples with when thinking about the water they drink and enjoy, and which supports Alberta’s aquatic ecosystems. Come explore what’s in your water! 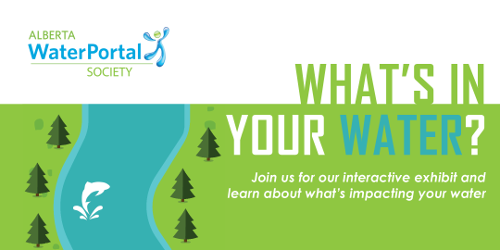 Join the Alberta WaterPortal at one of three interactive exhibits with games and activities about water quality in the Bow River. Test your knowledge of water misconceptions, learn about water treatment in your communities, and try out water testing to learn about what’s impacting your water. Family friendly and complimentary food and drinks will be available. To sign up for the free event visit the Eventbrite page here. Stop by anytime between 5:30pm and 8:30pm for some fun activities for all ages. On July 31, the Alberta WaterPortal held a workshop entitled “The Water-Energy-Food Nexus: Which way? Right way?”. The workshop brought together stakeholders from academia, water management, food, energy and other sectors to stimulate the engagement and discussion on how to educate and inform Albertans about the Water-Energy-Food Nexus (the “Nexus”). The Nexus is the intricate link between producing enough food, meeting growing energy needs, and ensuring there is sufficient water for people. In recent years, the Nexus concept has been acknowledged in the domain of environmental science and natural resource governance. It has become the defining term for understanding the interconnections between water, energy, and food. The anticipated outcome of the workshop was to gather ideas and feedback for the development and application of the Nexus concept in Alberta. Draw The Nexus - Participants were provided with poster boards, markers, and printed graphic materials to create a system map of their conceptualization of the Nexus. A representative from each table presented their Nexus system map and how their team understood it. This post is the final installment of a six-part interview series conducted and written by Project Blue Thumb. Project Blue Thumb is a multi-stakeholder social lab co-convened by the Red Deer River Watershed Alliance and Alberta Ecotrust Foundation that takes a whole system approach to protecting water quality in the Red Deer River watershed. 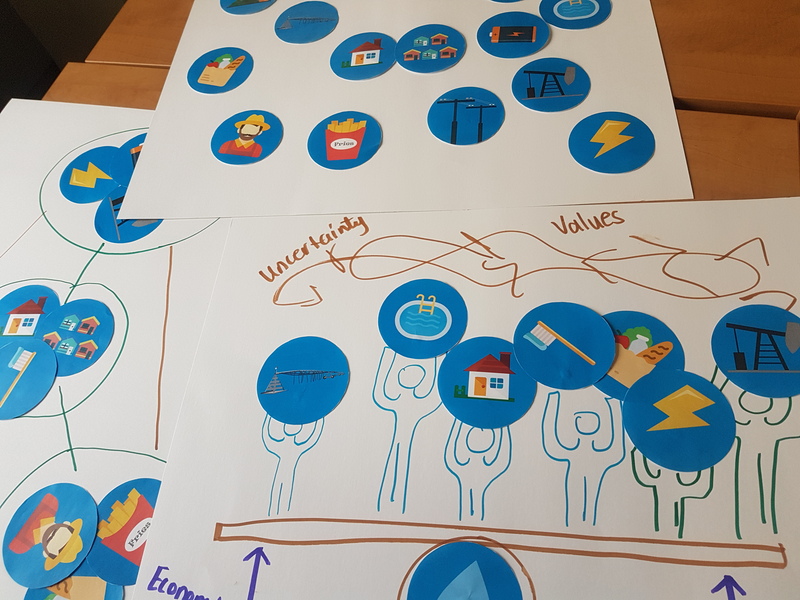 Building on the work of our current members, the PBT organizing team reached out to 13 multi-sector practitioners to hear their thoughts about the future of water in Alberta and potential directions. This post provides a snapshot from a few of our interviews relating to the Water for Life strategy. Let’s take a trip down memory lane to 2003. It was a big year for water in Canada, especially along our three coasts: the largest ice shelf in the Artic fractured, hurricane Juan terrorized Halifax, and Canada’s first Marine Protected Area was declared off the coast of B.C. But what was happening in Alberta far away from these saltwater events? The provincial Water for Life (WFL) strategy was introduced by Alberta Environment. It may not have made national headlines to the same degree, but for those working in the water world of Alberta, it was a first of its kind. This post is part five of a six-part interview series conducted and written by Project Blue Thumb. Project Blue Thumb is a multi-stakeholder social lab co-convened by the Red Deer River Watershed Alliance and Alberta Ecotrust Foundation that takes a whole system approach to protecting water quality in the Red Deer River watershed. Building on the work of our current members, the PBT organizing team reached out to 13 multi-sector practitioners to hear their thoughts about the future of water in Alberta and potential directions. This post provides a snapshot from a few of our interviews relating to the role of municipalities in the water system. My morning walk to work along the Bow River epitomizes the dual nature of cities. On my right, geese honk, beavers chew, and ice jams ebb and flow. To my left, rush hour traffic speeds by and the Calgary LRT glides along the Blue Line. Cyclists and runners whiz by in both directions. I’m caught in the beautiful crossfire of nature-in-the-city and city-in-the-watershed. Cities have a storied reputation. They have been described as thriving ecosystems1, sanctuaries2, and hubs of innovation3,4. However, they are also the cause of much of our environmental distress due to high populations and strained infrastructure. Large municipal centres rely on significant amounts of water from rivers, make significant land-use decisions, and impact downstream waters through nutrients, sediment, and even pharmaceuticals5,6. Yet cities also house universities, research labs, non-profits, and others thinking about these problems and striving for solutions. They are simultaneously sources of tradition and innovation; deterioration and opportunity.